Double ensuite, all rooms are en-suite and have a TV and complementary hospitality trays. All bedrooms are comfortably and co-ordinately decorated & furnished. 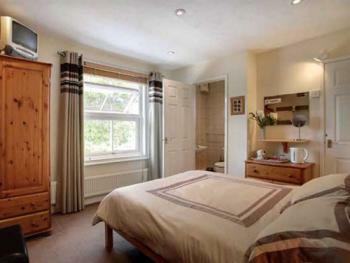 Twin Ensuite, all rooms are en-suite and have a TV and complementary hospitality trays. 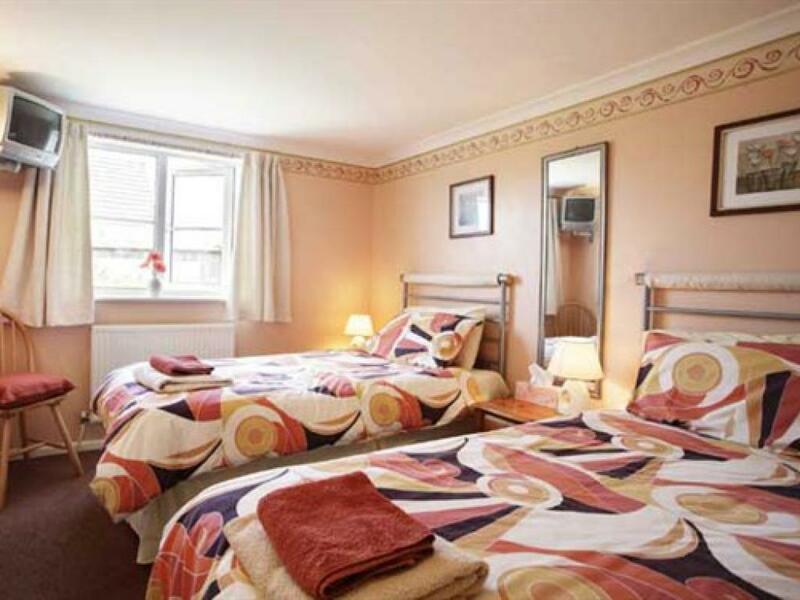 All bedrooms are comfortably and co-ordinately decorated & furnished. Double Shared facilities, all rooms have a TV and complementary hospitality trays. All bedrooms are comfortably and co-ordinately decorated & furnished. Single Shared facilities, all rooms have a TV and complementary hospitality trays. 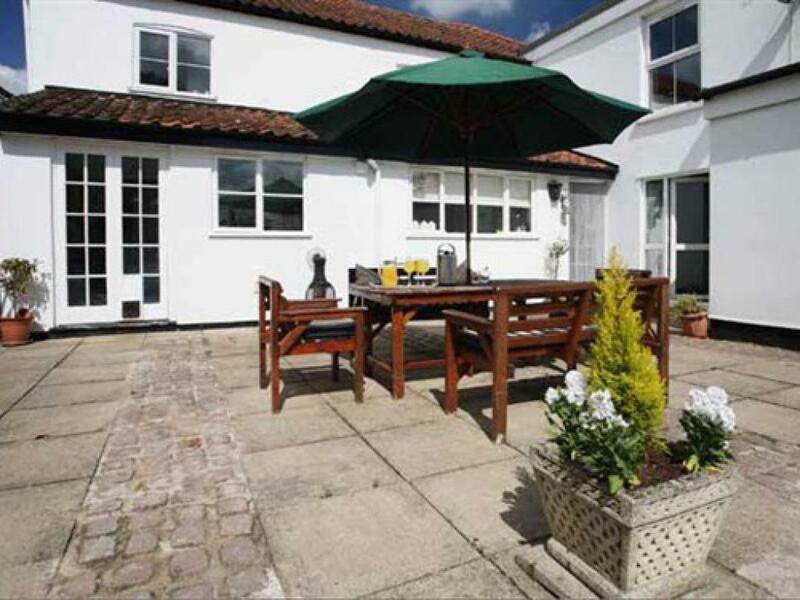 All bedrooms are comfortably and co-ordinately decorated & furnished. We also have eight golf courses within a 20 minute radius, along with some beautiful countryside. Old Costessey contains some of the oldest houses in the area and the two local pubs are popular with both the villagers and visitors to the area. A warm and friendly atmosphere ensures our guests return to us time and time again. Our bed and breakfast house is also ideal for the Norfolk Broads, one of the UK's most picturesque stretches of waterway. 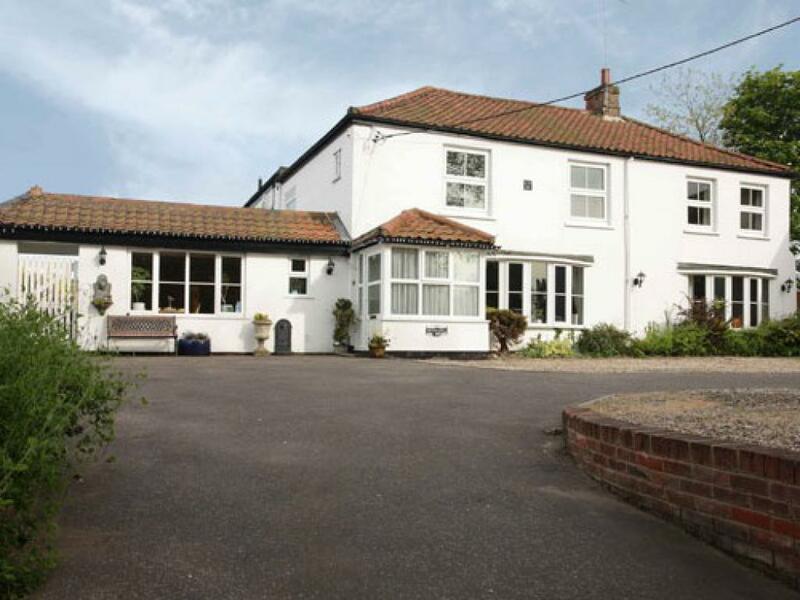 It is possible to find our B&B most conveniently on three modes of transport: the train to Norwich railway station (then a taxi), by road, and a boat from Great Yarmouth, Wroxham or from other places on the Broads. If you are having a break from a day's sailing and wish to stay overnight in our palatial B&B, give us a try. 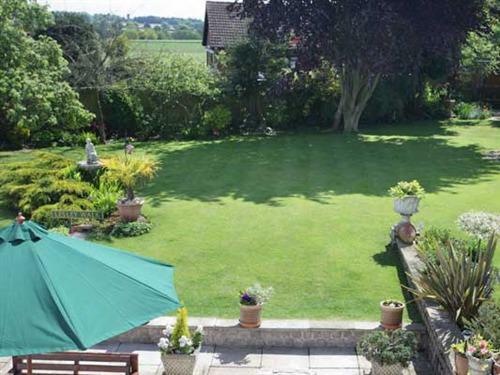 As well as generous on site parking facilities, our bed and breakfast house has magnificent gardens, ideal for relaxing. 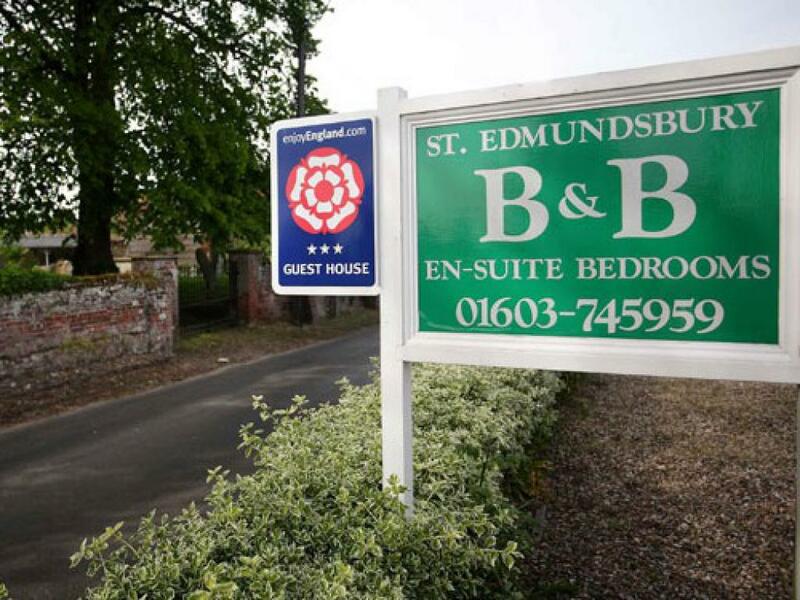 For the benefit of your health and maximum comfort, our B&B accommodation is strictly no smoking, from the dining room to our cosy bedrooms. For us, accommodation goes beyond providing a choice of single and double bedrooms. 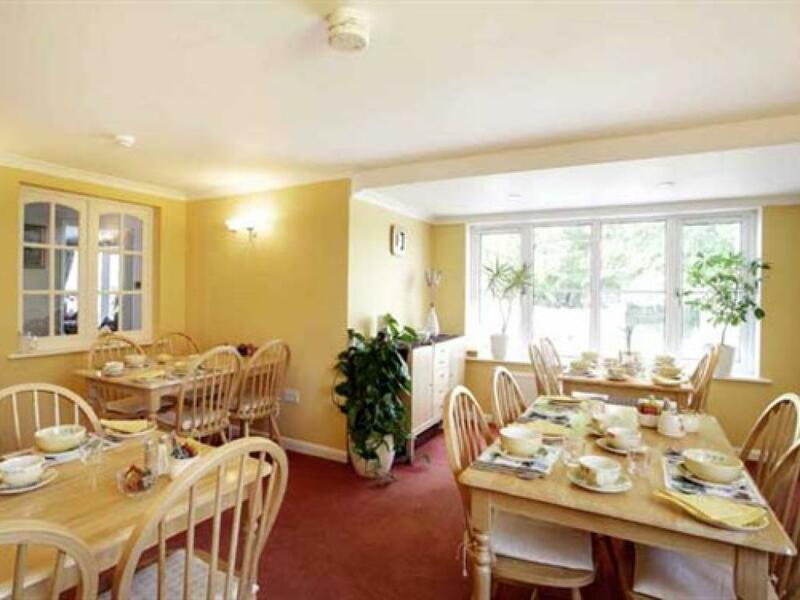 Our definition of accommodation includes a residents' lounge, provision for special diets (for example: vegetarian) and central heating in all rooms. 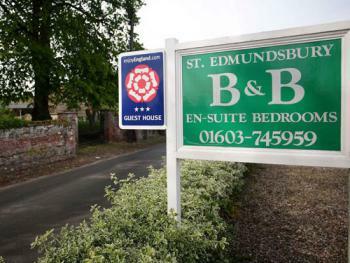 The eight bedroom accommodation at St Edmundsbury is mostly ground-floor, consisting of Doubles, Twins and one Family Room. 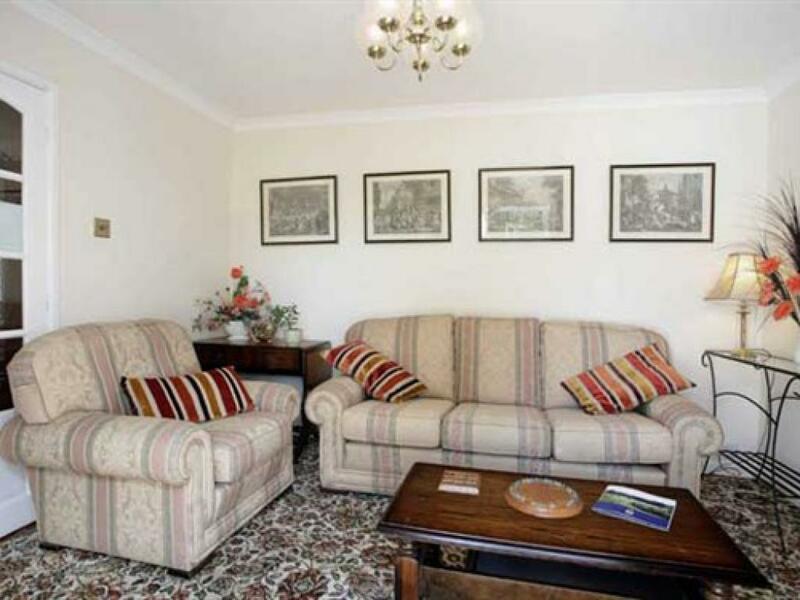 All are en-suite and have a TV and complementary hospitality trays. 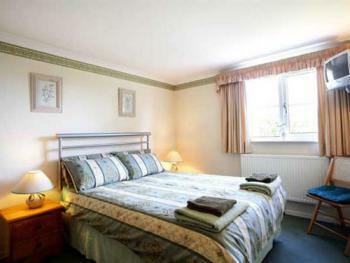 All bedrooms are comfortably and co-ordinately decorated & furnished. On the first floor we have three spacious bedrooms - two Doubles and one Twin; all en-suite and furnished to our high standard of comfort. Our well tended garden is accessible to our guests through the French Doors in our guest lounge, where you can relax whilst sitting out on the patio furniture. We look forward to welcoming you. If you are travelling by train, we can easily be reached from Norwich Station by taxi or by the local bus services.